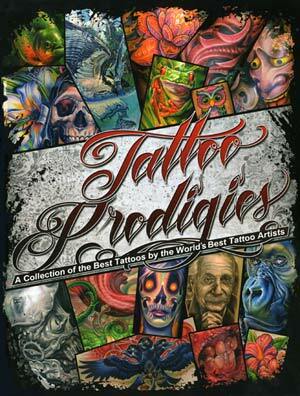 Check Out Our Collection of Great Tattoo Art Books! Over the summer of 2014, I had a painting hanging in the Somerset House in the UK, along with pieces by such amazing artists as Filip Leu, Titine Leu, Horiyoshi III, Don Ed Hardy, Shawn Barber, Timothy Hoyer, Grime, Paul Booth, Chris Garver, Robert Hernandez, Marcus Pacheco, Jeff Gogue, Sabine Gaffon, Nick Baxter, Eddy Deutsche, Joe Capobianco, Bugs, Ichibay, Nikko Hurtado and Ami James. 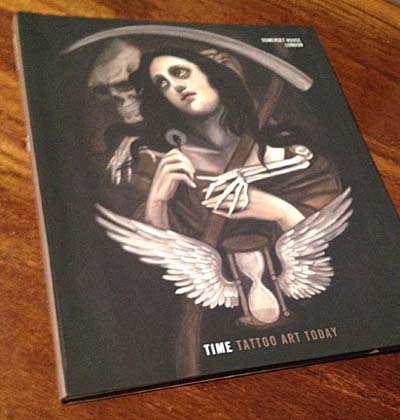 We have managed to secure a limited amount of the catalogs from the show, which come in the form of a large-format 144 page softcover art book called Time: Tattoo Art Today. It's a thought provoking and beautiful art collection in a rich variety of artistic styles. Excavate: Unearthing Artistic Skeletal Remains explores artistic interpretations of skull and skeleton-focused work by an extensive array of artists from around the world, a list too long to include here. 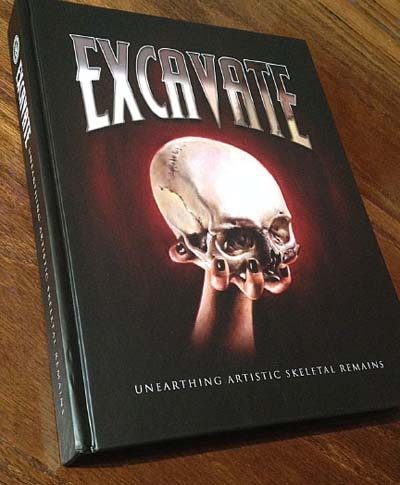 With various creative mediums included including skin, canvas, paper and sculpture, Excavate is a treasure trove of cranial-themed inspiration. Feathers of Inspiration: The Bird Art Project features an extensive and brilliantly colorful collection of bird inspired artwork from around the globe. With a multitude of mediums included, our feathered friends are beautifully interpreted in thousands of different ways, by artists of many disciplines and genres. This collective project brings together an artistic treasure trove of inspirational work to celebrate the remarkable world of winged wonders. 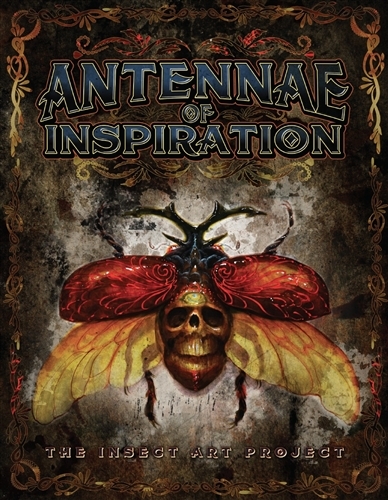 Antennae Of Inspiration shifts its focus to the insects and other small creatures that live underfoot. It's a great subject that allowed this talented and diverse cross section of the art world to explore Nature in every direction and in every medium, including a large section of tattoos followed by works on canvas, paper and a medley of other art forms. At 480 pages it's a weighty volume that will show you something new every time you pick it up, with over 1650 images. 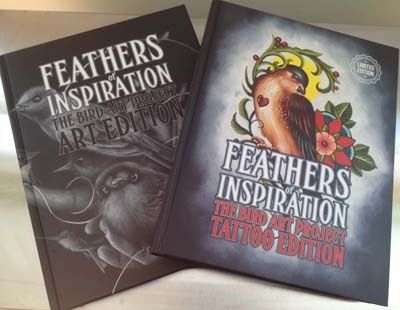 It's ideal for every tattooist's book collection and perfect for the waiting room of your tattoo studio. For those not already familiar with Shawn Barber's work, he's had a long-standing stellar career as a painter and art professor, then came into tattooing relatively recently with this incredible body of artistic experience under his belt, immediately gained the attention of the tattoo community with his impressive skill set. 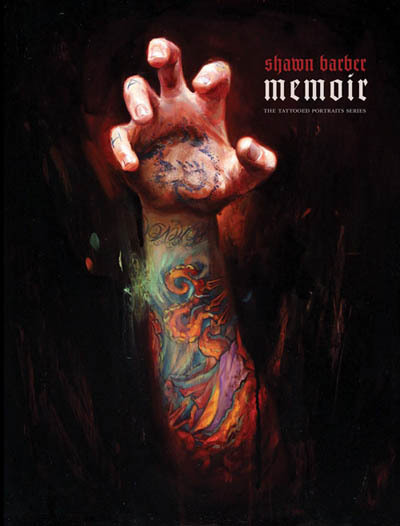 Memoir is a gorgeous large-format hardcover book with 256 pages of art. The paintings are all portraits of people from the tattoo community, both artists and collectors; Shawn has an almost superhuman ability to totally nail people's personalities on canvas while also documenting their tattoo collections, work environments and other details that help to express a sense of personal presence. There is no one else like him in the fine art world. Animal Ink: Exploring the World's Wildlife Through Tattoo Art, is a feast for the eyes and is brimming with inspiration from some of the world's best tattooists. 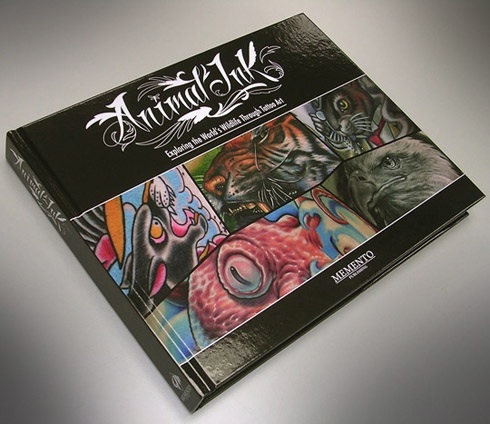 Featuring 304 full-color pages, this artistic beauty not only contains tattoo work from 160 talented tattoo artists, but in addition includes 62 stories about specific animal tattoos with details, meanings, and inspiration from the collectors who wear the ink and the artists who inked them. 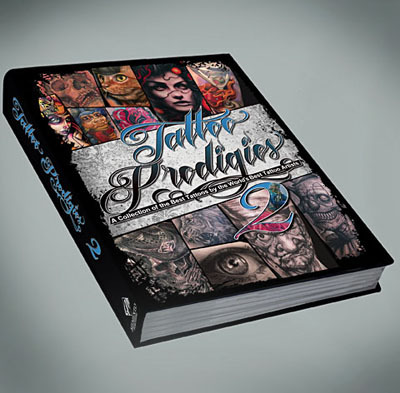 Tattoo Prodigies features work from some of the world's most accomplished artists with carefully selected full-color galleries of impressive tattoo and painting accomplishments, as well as inspiring stories and interviews throughout this gorgeous oversized hardcover volume. Not only is this book eye candy for ink collectors and artists alike, the content is sure to motivate those seeking to advance and learn. Then comes its sequel, Tattoo Prodigies 2. This is a high quality, hardbound coffee table book that is 10 inches wide by 13 inches tall and about 2 inches thick. All 600 pages are printed in full color and include 170 hand-picked tattoo artists with over 2,000 photos, 68 artist interviews plus a collaboration section in the back of the book. In addition, we are also offering both Prodigies volumes together in one value package. This just scratches the surface; I encourage you to drop by Tattoo Education today and see what else we have in the way of books, DVDs, streamable content, innovative ergonomic supplies and other items aimed at advancing the tattoo art form and its standing in the public eye. Thanks, and we'll be in touch soon!